Susan Katz Miller grew up with a Jewish father and Christian mother, and was raised Jewish. Now in an interfaith marriage herself, she is one of the growing number of Americans who are boldly electing to raise children with both faiths, rather than in one religion or the other (or without religion). In Being Both, Miller draws on original surveys and interviews with parents, students, teachers, and clergy, as well as on her own journey, to chronicle this controversial grassroots movement. Almost a third of all married Americans have a spouse from another religion, and there are now more children in Christian-Jewish interfaith families than in families with two Jewish parents. Across the country, many of these families are challenging the traditional idea that they must choose one religion. In some cities, more interfaith couples are raising children with “both” than Jewish-only. What does this mean for these families, for these children, and for religious institutions? Miller argues that there are distinct benefits for families who reject the false choice of “either/or” and instead embrace the synergy of being both. Reporting on hundreds of parents and children who celebrate two religions, she documents why couples make this choice, and how children appreciate dual-faith education. But often families who choose both have trouble finding supportive clergy and community. To that end, Miller includes advice and resources for interfaith families planning baby-welcoming and coming-of-age ceremonies, and seeking to find or form interfaith education programs. She also addresses the difficulties that interfaith families can encounter, wrestling with spiritual questions (“Will our children believe in God?”) and challenges (“How do we talk about Jesus?”). And finally, looking beyond Judaism and Christianity, Being Both provides the first glimpse of the next interfaith wave: intermarried Muslim, Hindu and Buddhist couples raising children in two religions. 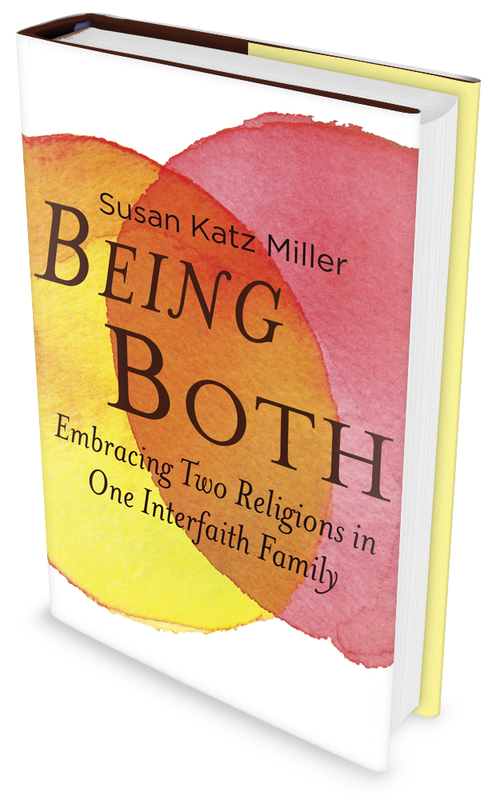 Being Both is at once a rousing declaration of the benefits of celebrating two religions, and a blueprint for interfaith families who are seeking guidance and community support. A former Newsweek reporter and U.S. Correspondent for the British weekly magazine New Scientist, Miller has written for The New York Times, The Christian Science Monitor, NPR's All Things Considered, Discover, and many other publications. She leads interfaith couples groups, has a column in the religion section of The Huffington Post, and writes the leading blog on interfaith identity, onbeingboth.com. Published by Beacon Press in 2013.